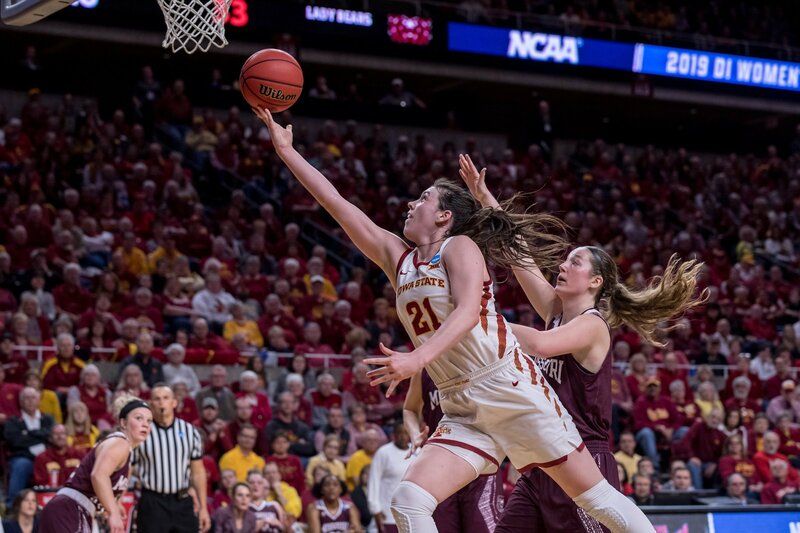 In 2018-19, started in all 35 games for Iowa State. Averaged 21.7 points, 8.7 rebounds, 4.0 assists, 2.3 steals, 1.2 blocks per game. She also shot 37% from three. In 2017-18, started in all 31 games. Averaged 19.2 points, 6.5 rebounds, 3.4 assists, 2.2 steals and 0.9 blocks per game. Led Iowa State in points, rebounds, steals, blocks and 3-pointers made. In 2016-17, started in 30 games for the Cyclones on the season. Averaged 15.0 points, 5.7 rebounds, 1.8 assists, 1.2 steals and 1.0 blocks per game. Scored in double figures in 24 games this season and rebounded in double figures in two games. Ranked second in the nation in free throw percentage, netting 93.9 percent from the line. In 2015-16, Started 25 games for the Cyclones and appeared in 27 games. Averaged 12.0 points, 6.7 rebounds and 1.7 assists per game. One of two unanimous selections to the All-Big 12 Freshman team. Scored in double figures in 18 games, netted 20 or more points in four games, and grabbed six double-doubles. Competed for Canada Basketball on their U16, U17, U18 and U19 teams where she was a captain of the U16/U17 Cadette National Team in 2013 and 2014. She was a starter on the U18 Junior National Team and a captain of the U19 Women’s National Team.